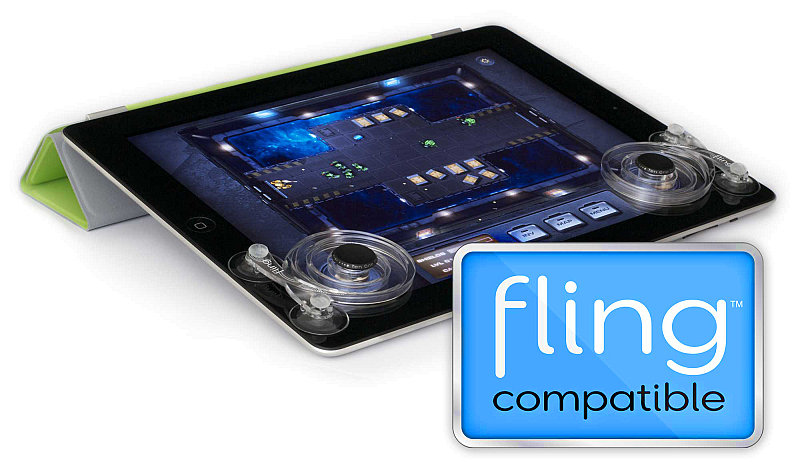 Fling is a joystick for iPad. It gives you controls you can touch for any game that has an on-screen joystick. 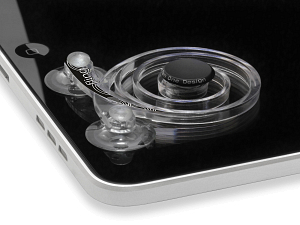 Fling's patent pending design provides auto-centering and force feedback. Once you start gaming with Fling, you'll never go back. Miss your console? 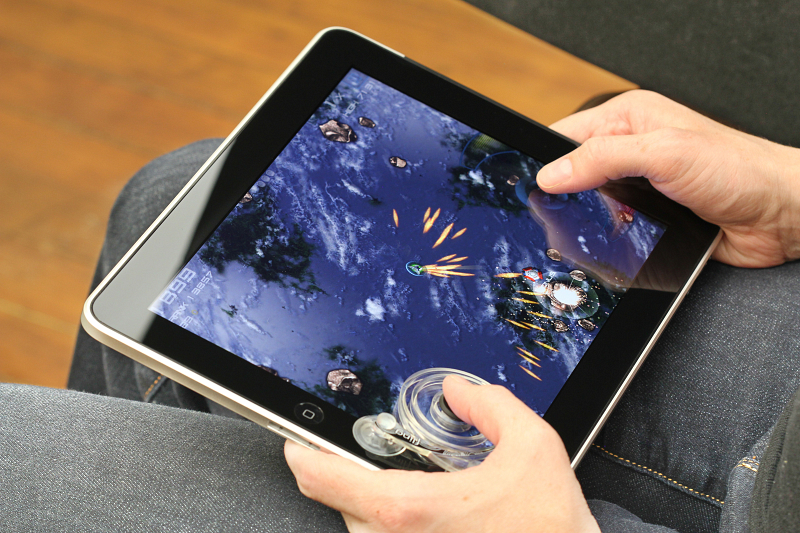 Fling gives you the feel of an analog joystick, so your iPad games feel even more immersive. When the screen illuminates, Fling melts away and becomes invisible, so you'll never miss any action on the screen. Many developers have optimized their game for Fling, so you won't have any trouble finding Fling compatible apps. Anything with a virtual joystick on-screen will work. Just head over to the App Store, and keep an eye out for the compatibility badge. iPad gaming is all about precision maneuvering, and Fling gives you this crucial advantage. 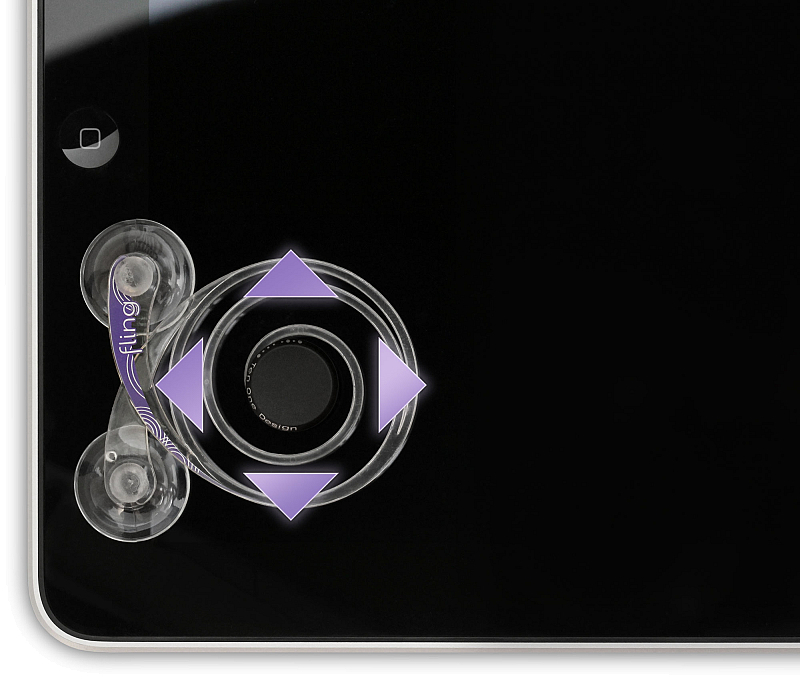 As you control a game with Fling, it pushes gently back towards the center position. This haptic feedback guides and stabilizes your gameplay, making every action more accurate. Fling is constructed from silky-smooth anodized aluminum, and an incredibly tough, perfectly clear, and unusually flexible engineering-grade resin. It's nearly indestructible, and will give you years of precision gaming.